BiggerPockets.com is the most respected online real estate networking and information resource platform worldwide, created for professionals, investors, homeowners, and other aficionados. With over 195,000 members, 600,000 monthly unique visitors (7/2014), 900,000+ forum posts, and tens of thousands of articles, BiggerPockets is changing an industry, one investor at a time. Our mission is to help educate people in all aspects of real estate and real estate investing and to provide tools, data, and resources to enhance real estate knowledge, networking, dealmaking, marketing, and other day to day real estate activities. 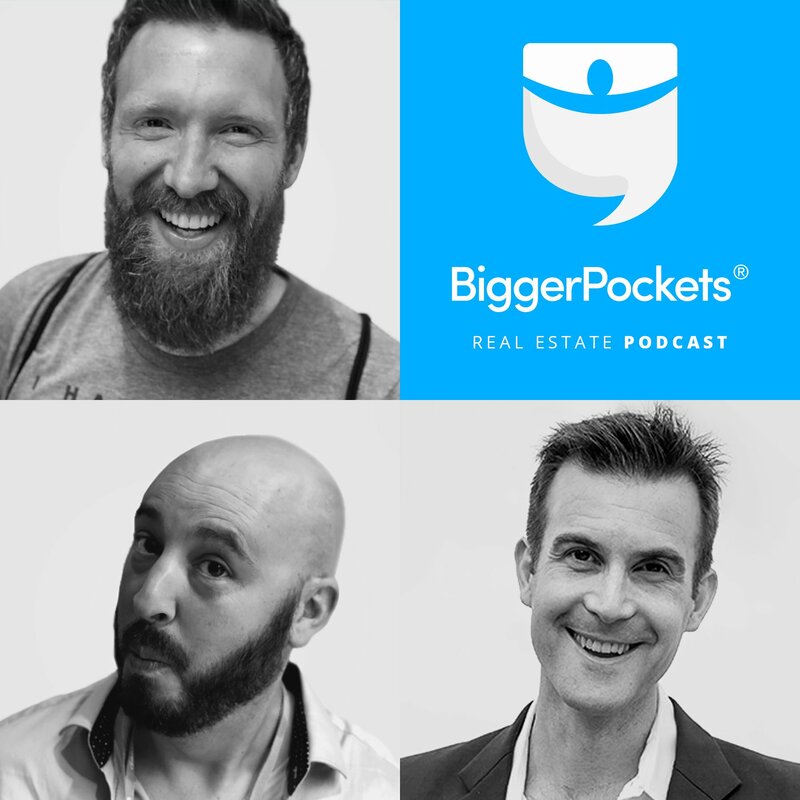 Going beyond the website, BiggerPockets delivers top-notch real estate networking and educational content via its ebooks, podcast, and the BiggerPockets Real Estate Investing Summit. To learn more about BiggerPockets.com, please see our “About Page” or our “Start Here” page. What Is the BiggerPockets Hard Money Lender Directory? Simply put, the BiggerPockets Hard Money Lender Directory is revolutionizing the hard money industry. The BiggerPockets Hard Money Lender Directory is the premier online listing place for hard money lenders across the United States. Not only is the list the most comprehensive and up-to-date, it also is one of the highest ranking hard money lender directory online, reaching hundreds of people via online searches every single day. The directory is highly targeted, ranking near the top of Google for “Hard Money Lenders,” “hard money lender,” “hard money loans” and “hard money” – topped only by Wikipedia (and sometimes local listings if Google decides to promote local businesses at the top.) Additionally, we’ve had over 10,000 unique visits in the first 2 months of 2013 to the directory, and are currently expanding the site and as the directory grows, we expect traffic to increase significantly as well from other sources. 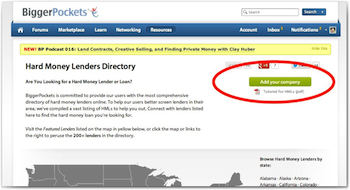 As seen in the photo below, the Hard Money Lender Directory is broken up by state and is easy to navigate via the clickable map itself, or by clicking on one of the states listed on the right side. Every hard money or private lender is welcome to create a basic listing for free, which will point to a free Company Profile on BiggerPockets.com. Your Company Profile include links to your site, social media outposts, your company logo, details about your company, and even the ability to connect with over 160,000 BiggerPockets members and the 550,000 monthly unique visitors to BiggerPockets through our dashboard. A free listing gives you a place on in one state that you lend in. However, for those looking for more exposure, there are featured listings. To help your listing stand out, we’ve also created a “Featured Lenders” section for each state, which allows your company to stand out and bring more customers to you, helping you grow your business and become more profitable with less advertising dollars. Featured listings are on a first-come, first-serve basis and we will only be allowing five companies to be Featured per state. The first type of “Featured” listing is a featured spot at the top of each State’s section in the directory. This type of listing allows you to be seen first, to have your logo displayed prominently, and to link directly back to your web page. This is a fantastic ad placement for targeted traffic in the geographic regions of interest to you. Prices vary by state. 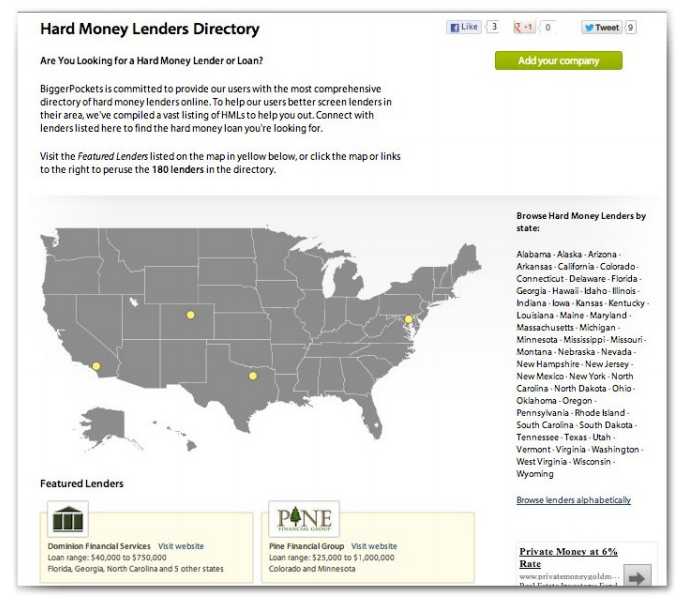 The second kind of “Featured” listing is a listing on the front page of our Hard Money Lenders directory. There are only 30 of these spots available, and they are sold on a first come, first serve basis. These links come with branding, links to your profile & website and additional information about your lending. Since our directory’s homepage gets a LOT of traffic, being featured there is GREAT for visibility. Spots are very limited for this feature, so please don’t delay if you plan to take advantage of this! setting up a Business Profile, check out our Company Profile Tutorial. Go to the Hard Money Directory and click the green “Add Your Company” button. Add your listing, and choose either a free regular listing or a Featured listing, and click the States that you lend in. 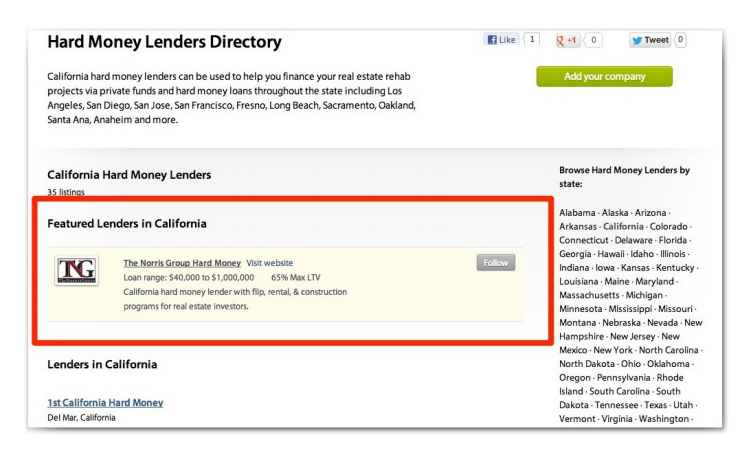 If using a “Featured Listing” fill in all the states you lend in, your allowed LTV, and potential loan amounts. Select “Create Listing” and you are done! What is a Pro or Plus Membership on BiggerPockets? BiggerPockets offers free memberships for individuals on the site, in interact, engage, and grow. In addition, we offer a PRO or Plus membership to help businesses stand out and attract more leads. Post ads in the Marketplace, which is seen by thousands of individuals each day. The marketplace is the only part of the BiggerPockets Forums that allow links back to your site. 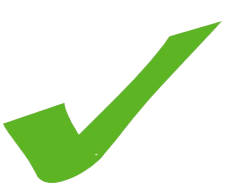 Promote your brand with an “Enhanced Signature” in the forums. Each time you leave a forum post, your “enhanced signature” will point people back to your site and stand out among the other posters. 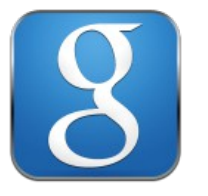 See who visits your profile – enabling you to target those who have shown interest in your brand. This is an extremely powerful tool to help you reach potential customers. Follow more topics using the Keyword Alert tool, notifying you when certain terms are discussed so you can jump into those conversations and be known as the go-to source for that information. A BiggerPockets PRO membership costs just $29/month or $290/year and can help your business stand out. To learn more about why you should have a PRO membership, click here. If you are using a featured listing, this section is for you, and contains instructions for making sure your profile is set up to capture the most business possible for your hard money lending company. 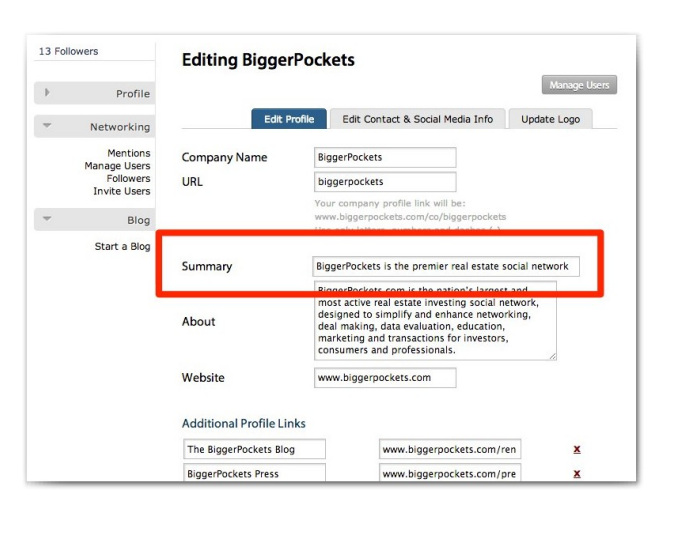 When you sign up for a company profile on BiggerPockets, it is important that you edit your company profile correctly, because parts of your Featured Listing on the Hard Money Directory will pull from your BiggerPockets Company Profile. in one place to be found. Now that you have your hard money lending listing uploaded, we invite you to jump into the BiggerPockets site and start building your name on BiggerPockets. For an overview of what BiggerPockets is and how you can use it to reach 500,000 people each month, check out the Start Here page. Fore mor information on using BiggerPockets to grow your business, click this tutorial.